I go travelling in my kitchen. 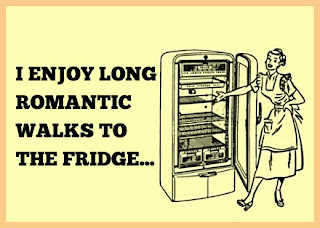 I go travelling in my kitchen and I enjoy long romantic walks to the fridge. I love to prepare dishes that I have never seen or heard of simply because they come from a country or a place that I would like to visit. I stumbled upon a recipe last year that I just HAD to try: Socca. 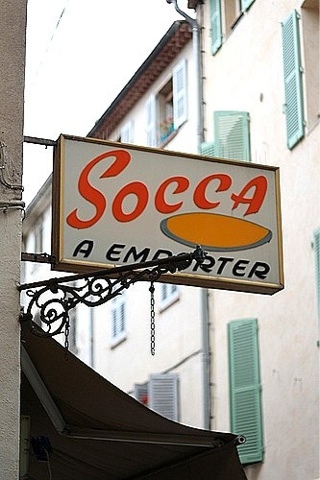 Socca is a crêpe-like street food that is typical if Southeastern France. It is made out of chick pea flour and olive oil. 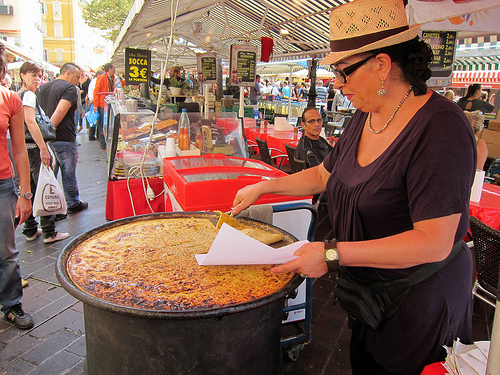 As I read the recipe, I could just picture myself being in a busy sun-filled market in the South of France, drinking a glass (or 2... or 3) of Rosé and eating Socca with my hands (as the recipe suggested). I needed to go on this "culinary journey". When I made the recipe, I was quickly transported. As silly as it sounds, I felt like I had already been to the South of France and that I was reliving a moment. My imagination often takes me far far away. I don't know if this recipe will "transport" you but it's worth a try! It's absolutely delicious, (gluten-free !) 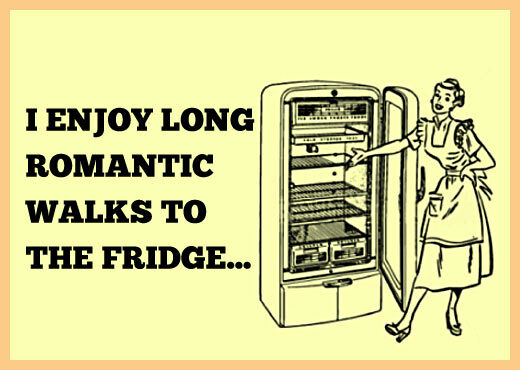 and can even act as a great base for pizza. Mix chickpea flour, water, salt, cumin and 1 1/2 tbsp olive oil. Let the batter rest for at least two hours covered and at room temperature. Heat your broiler. Oil a cast iron pan (or a metal pie pan) with the remaining 1 tbsp olive oil and place it in the hot oven. You want the pan to be burning hot. Put a ladleful of the socca mixture in the hot pan and swirl it around to cover the whole surface. Put it in the broiler until socca is firm and beginning to blister and become crispy around the edges. Keep your eye on it. It takes a few minutes.